Chicago’s finest alternative rock band The Smashing Pumpkins is a hard act to tie down, if only because they refuse to bow to typecasting or expectations. One thing is for sure that once they left early dabbling with new wave behind them and concentrated on an unusually organic blend of psych rock and heavily layered, multiple tracked statement sounds – never ever afraid of adding pomp to circumstance – their diverse approach reaped almost immediate rewards. Constantly selling discs stamped platinum their ascent from clubs to arenas to stadia may seem effortless, such is their innate talent, but real hard work and dedication to their own cause ensures that while others may have got stuck in generic areas of grunge and grime, Smashing Pumpkins have forged ahead on turbulent terrain often born out of leader Billy Corgan’s singular lyrical and musical vision. Their albums on catalogue describe the band’s own legacy best and it’s fascinating to see emerge almost fully formed and yet capable of infinite variety and a maturing process that ensures them status as a genuinely iconic act, as respected as they are revered. Billy Corgan and James Iha begin this story as The Smashing Pumpkins way back in 1988. Paying some lip service allegiance to punk gothic and psychedelia the initial blueprint set a high standard. Corgan's take no prisoners brand of cathartic writing and ambitious musical scope instilled a work ethic that implied they were in it for the long haul. A passionate advocate of pop and rock history Corgan's earliest interviews shocked those who might have thought him an upstart when he was actually a new young pioneer, who seemed to sense that big sales and acclaim were a given. And he was right. The debut disc was formed from a vision he'd had while working in a Chicago record store where he met Iha. The two young men then shared a love for the electronic meets pop sounds of New Order, The Cure and all things alt. British. Drum machines came and went before jazz drummer Jimmy Chamberlain enabled the fledgling act to expand their horizon. Releases on local compilations and a foray into the singles world of Sub Pop brought them to the attention of producer Butch Vig who took them into his Smart Studios in Wisconsin to create Gish (1991), a marvellously dreamy affair with metal guitar overtones that sits very well against the work of Nirvana, Jane's Addiction and Pearl Jam while creating its own unique dynamic. Vig and Corgan were made for each other - both demanded technical perfection and refused to be lumbered with low-fi independent limitations. Not bothered one iota with fashion and trend they actually aspired to the polish of a Queen or an ELO type group and bucked every trend going. Admitting that Gish was lyrically inspired by pain and emotional conflict, Corgan kept matters personal as he entered into almost intangible worlds on enigmatic cuts like 'Rhinoceros' and 'Tristess'a with female bassist D'Arcy Wretzky adding greatly to the sonic attack and the powerful visual impact of The Smashing Pumpkins on stage. A fantastic five star debut, the Deluxe edition, remastered with extra tracks, live, radio and single mixes is a great place to start discovering this band on an album that would eventually go platinum and garner a slew of national and local awards. 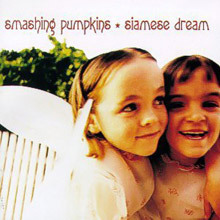 Siamese Dream was made under extreme circumstances with various band members enduring relationship and other personal problems that might have floored a lesser act. Corgan himself suffered from stage fright and writer's block but eventually came up to the plate when it mattered. Working with Vig again (now hot from Nirvana success) Corgan took the group to Georgia to avoid distractions. Early tracks like 'Today' and 'Disarm' proved the move was worthwhile and Corgan put the Pumpkins through their paces with fanatical zeal. Out of torment a masterpiece emerged that established the band as credible with the critics and vital to their fans. Total anthems like 'Cherub Rock' and the ear bendingly ornate 'Soma' (that's R.E.M. 's Mike Mills on piano) and 'Sweet Sweet' were mind boggling for the time and retain their brilliance today on the original as well as remastered and Deluxe varieties. Siamese Dream was internationally popular too, hitting top tens from the USA and the UK to Canada and Scandinavia. It's now sold over six million copies. Whatever tensions lurk below the surface in the Pumpkins world they have never been shy to move on and Pisces Iscariot revealed their amazing hidden world of B-sides and outtakes not least of which are their stellar versions of the Fleetwood Mac/Stevie Nicks song 'Landslide' and The Animals' obscure 'Girl Named Sandoz'. Cementing their position as heavyweights even this compilation of sorts went platinum and made significant chart inroads. The Pumpkins had truly arrived. Vig and the Corgan crew parted company for Mellon Collie and the Infinite Sadness, amicably as it happened, and Billy now chose the English production duo of Alan Moulder and Flood to put his new material into context. Ever more complex and far reaching Corgan wanted to maker a double album a la The Beatles' 1968 set while setting his sights on creating a kind of riposte to Pink Floyd's The Wall for the then buzzing Generation X crowd. To counteract any boredom caused during overdubbing the band worked in two separate studios making sure everyone was fully occupied and there was no mischief for idle hands. A smart move too as the charismatic bandleader delegated responsibility when necessary, allowing for a more relaxed and productive atmosphere. Accolades flowed for Mellon Collie. It won a Grammy for 'Bullet with Butterfly Wings', scooped incredible reviews, massive sales and ever more devoted fan based acclaim. Not bad for a concept of sorts based on the human condition and mortal sorrow. Clocking in at over two hours long (and they'd cut their initial songbook back by half) this was and is a real masterpiece with too many highlights to do justice to really although one might point out the signature pieces - '1979', 'Tonight, Tonight' and 'Thirty-Three'. The Deluxe and remastered versions are things of wonder as unreleased material is restored with extras including the Zero EP and outtake sessions by the bucket load. Another exhaustive world tour, before which Corgan famously shaved his hair off, saw Chamberlain quit before the making of the most anticipated album of 1988, Adore. In keeping with a certain sense of personal desolation Corgan began writing the tracks on acoustic guitar and demo'd with producer Brad Wood while retaining Flood for the final break down. Hinting at a move towards heavy metal and electronica the results were actually far more melodic, dare one say ballad like in structure, warmer in sound without sacrificing the on the edge emotion that goes hand in hand with just about everything in the Pumpkins canon. Corgan was completely hands on again (Iha was working on a solo album), even overseeing mixing, art direction and cover design. There was no let-up in quality either. 'Ava Adore', 'Perfect' and 'Crestfallen' are Smashing classics. Having taken stock the band returned with Machina/The Machines of God at the turn of the new millennium. Replacing D'Arcy with former Hole bassist Melissa Auf der Maur for forthcoming live work didn't prove as traumatic as fans feared and since Chamberlain was back on board the band's fifth album was designed as a kind of conceptual farewell on tracks that Corgan deemed either arty or more pop in their structure than anything previously laid down. Another mooted double, Machina was eventually stripped back to a mere (!) 73 minutes of Smashing magic. Highlights include 'The Everlasting Gaze', 'Stand Inside Your Love', 'I of the Mourning' and 'Try, Try, Try' with sometime David Bowie pianist Mike Garson contributing to 'With Every Light'. Now embracing the possibilities of internet releases and following several side trips The Smashing Pumpkins re-enter our world with Oceania, a stimulating change of direction featuring a new four piece line up (Corgan helming of course) and several spiritual excursions wrapped in wall of sound production like 'Quasar', 'Panopticon' and the dreamy prog rock of 'The Celestials', which Pumpkins followers rate amongst their best in a while. Completing our overview it's vital to note that the remastered Pisces Iscariot - Billy Corgan's mythical mix tape - is available as are the intriguing Rarities & B-Sides and the totally groovy Rotten Apples, The Smashing Pumpkins Greatest Hits. Constantly evolving, always challenging, The Smashing Pumpkins have made a virtue out of dealing with struggle and rising above. Billy Corgan's determination to ensure the band is a work in flux as well in progress ensures their position as a major act continues to build. Start digging them yourself for some infinite gladness. 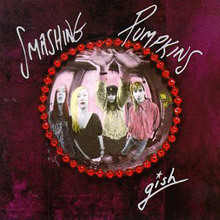 While Gish had placed the Smashing Pumpkins on the "most promising artist" list for many, troubles were threatening to break the band apart. Singer/guitarist/leader Billy Corgan was battling a severe case of writer's block and was in a deep state of depression brought on by a relationship in turmoil; drummer Jimmy Chamberlin was addicted to hard drugs; and bassist D'Arcy and guitarist James Iha severed their romantic relationship. The sessions for their sophomore effort, Siamese Dream, were wrought with friction -- Corgan eventually played almost all the instruments himself (except for percussion). Some say strife and tension produces the best music, and it certainly helped make Siamese Dream one of the finest alt-rock albums of all time. Instead of following Nirvana's punk rock route, Siamese Dream went in the opposite direction -- guitar solos galore, layered walls of sound courtesy of the album's producers (Butch Vig and Corgan), extended compositions that bordered on prog rock, plus often reflective and heartfelt lyrics. The four tracks that were selected as singles became alternative radio standards -- the anthems "Cherub Rock," "Today," and "Rocket," plus the symphonic ballad "Disarm" -- but as a whole, Siamese Dream proved to be an incredibly consistent album. Such compositions as the red-hot rockers "Quiet" and "Geek U.S.A." were standouts, as were the epics "Hummer," "Soma," and "Silverfuck," plus the soothing sounds of "Mayonaise," "Spaceboy," and "Luna." After the difficult recording sessions, Corgan stated publicly that if Siamese Dream didn't achieve breakthrough success, he would end the band. He didn't have to worry for long -- the album debuted in the Billboard Top Ten and sold more than four million copies in three years. Siamese Dream stands alongside Nevermind and Superunknown as one of the decade's finest (and most influential) rock albums. The Smashing Pumpkins didn't shy away from making the follow-up to the grand, intricate Siamese Dream. 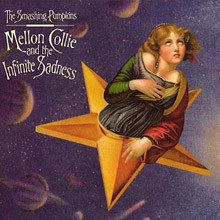 With Mellon Collie and the Infinite Sadness, the band turns in one of the most ambitious and indulgent albums in rock history. Lasting over two hours and featuring 28 songs, the album is certainly a challenging listen. To Billy Corgan's credit, it's a rewarding and compelling one as well. Although the artistic scope of the album is immense, The Smashing Pumpkins flourish in such an overblown setting. Corgan's songwriting has never been limited by conventional notions of what a rock band can do, even if it is clear that he draws inspiration from scores of '70s heavy metal and art rock bands. Instead of copying the sounds of his favorite records, he expands on their ideas, making the gentle piano of the title track and the sighing "1979" sit comfortably against the volcanic rush of "Jellybelly" and "Zero." In between those two extremes lies an array of musical styles, drawing from rock, pop, folk, and classical. Some of the songs don't work as well as others, but Mellon Collie never seems to drag. Occasionally they fall flat on their face, but over the entire album, The Smashing Pumpkins prove that they are one of the more creative and consistent bands of the '90s. Left without a drummer after Jimmy Chamberlin's dismissal, the Smashing Pumpkins took the opportunity to revamp their sound slightly -- which is what Billy Corgan claimed they were going to do on their fourth album anyway. Adore, however, isn't a drastic departure. Using dream pop ballads and the synthetic pulse of "1979" as starting point, the Pumpkins have created a hushed, elegiac album that sounds curiously out of time -- it's certainly an outgrowth of their previous work, but the differences aren't entirely modern. Whenever synthesizers are added to the mix, the results make the band sound like a contemporary of the Cure or Depeche Mode, not Aphex Twin. That's not necessarily a problem, since Adore creates its own world with layered keyboards, acoustic guitars, and a rotating selection of drummers and machines. There's none of the distorted bluster that cluttered Mellon Collie and none of the grand sonic technicolor of Siamese Dream. 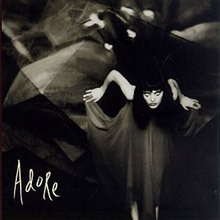 Adore recasts the calmer moments of those albums in a sepia tone, in an attempt to be modest and intimate. Only Billy Corgan would consider a 74-minute, 16-track album a modest effort, but compared to its widescreen predecessors, it does feel a bit scaled down. Still, Corgan's ambitions reign supreme. This is no mere acoustic album, nor is it electronica -- it is quiet contemporary art rock, playing like a concept album without any real concept. Its very length and portentousness tend to obscure some lovely songs, since all the muted production tends to blend all the songs together. But even with its flaws, Adore is an admirable record that illustrates the depth of the Pumpkins' sound, even if it ultimately isn't a brave step forward. Arriving several months before Nirvana's Nevermind, the Smashing Pumpkins' debut album, Gish, which was also produced by Butch Vig, was the first shot of the alternative revolution that transformed the rock & landscape of the '90s. While Nirvana was a punk band, the Smashing Pumpkins and guitarist/vocalist Billy Corgan are arena rockers, co-opting their metallic riffs and epic art rock song structures with self-absorbed lyrical confessions. Though Corgan's lyrics fall apart upon close analysis, there's no denying his gift for arrangements. Like Brian May and Jimmy Page, he knows how to layer guitars for maximum effect, whether it's on the pounding, sub-Sabbath rush of "I Am One" or the shimmering, psychedelic dream pop surfaces of "Rhinoceros." 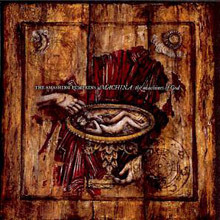 Any record called MACHINA/The Machines of God couldn't be a pure rock album. The title suggests this is a concept album, which are at least a little progressive. As it happens, MACHINA is a lot progressive. Though it's damn near impossible to figure out the story line, the album plays like a concept album, with each track floating into the next, winding up with an album artier than Adore. That's not a liability, since the Smashing Pumpkins were always arty, yet Billy Corgan was very clever in camouflaging his artiness. "The Everlasting Gaze" rocks more overtly than anything on Adore, and the storybook-styled artwork deliberately evokes memories of Mellon Collie. Although the Smashing Pumpkins had only released two studio albums by 1994 (1991's Gish and 1993's Siamese Dream), they had an overflow of songs that were either relegated to B-sides on European singles or remained unreleased. Billy Corgan proved to be one of rock's most prolific songwriters of the 1990s alt rock movement -- as the quality of these early leftovers were often just as strong as the songs that were officially released. 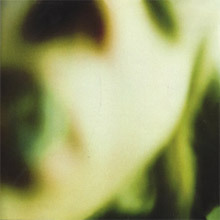 Since nearly all of these songs were never issued domestically, the B-side/rarity collection Pisces Iscariot was issued alongside their first long-form home video, Vieuphoria. The collection proved to be a feast for fans -- it's inexplicable why such exceptional rockers ("Plume," "Hello Kitty Kat," "Frail and Bedazzled," "Blue") and ballads ("Obscured," "La Dolly Vita") weren't featured on albums. Also included is the long and winding, 11-minute epic jam fest "Starla," which proves that Corgan was one of the finest (and most underrated) rock guitarists of the '90s, as well as a pair of unlikely covers -- Fleetwood Mac's gentle "Landslide" and the Animals' psychedelic "Girl Named Sandoz." Also included are insightful liner notes (strewn with typos) from Corgan. While it's not the definitive B-sides collection of pre-Mellon Collie Pumpkins (such tracks as "Bullet Train to Osaka," "Purr Snickety," "Apathy's Last Kiss," "My Dahlia," "Jackie Blue," "Glynis," and others are nowhere to be found), Pisces Iscariot contains some of Corgan and company's finest moments. 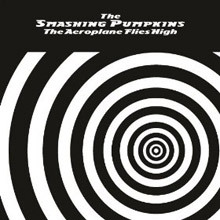 The Aeroplane Flies High contains all five singles -- "Bullet With Butterfly Wings," "1979," "Zero," "Tonight, Tonight," "Thirty-Three" -- from Mellon Collie and the Infinite Sadness in a box set shaped like a 45 single carrying case from the '60s. Though the set contains all of the B-sides from the five singles, the running order isn't quite the same as the original releases; for example, in its original release, "Butterfly Wings" only had two B-sides, but it is augmented for covers of new wave artists like the Cars, Blondie, and Missing Persons. In total, the box set has more songs than Mellon Collie, and, by and large, the quality of the music is quite strong. Occasionally, Billy Corgan's prolificacy gets the better of him; there are a number of songs where his reach exceeds his grasp, and he doesn't quite come up with an engaging melody to match his detailed production. At other times, his musical experimentations catch hold, such as when he delves into jazz or orchestrated pop. Still, all of these pleasures are ones that are only of interest to dedicated Smashing Pumpkins fans who already know Mellon Collie and the Infinite Sadness inside and out. A casual fan will have a hard time sorting out the wheat from the chafe on The Aeroplane Flies High, but that work will be a pleasure for the diehards. 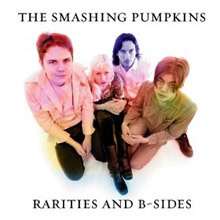 Rarities and B-Sides is a compilation of previously released B-sides, outakes and demos by one of the most influential rock bands of the 90s. It’s available as a digital download only and can be found at iTunes or any other digital service provider website. The 114 tracks include the first digital releases of seven tracks only available before on vinyl. They are ‘Bullet Train To Osaka’, ‘Terrapin’, ‘Siamese Dream’, ‘Purr Snickety’, ‘Not Worth Asking’, ‘Honeyspider II’ and ‘Infinite Sadness’.